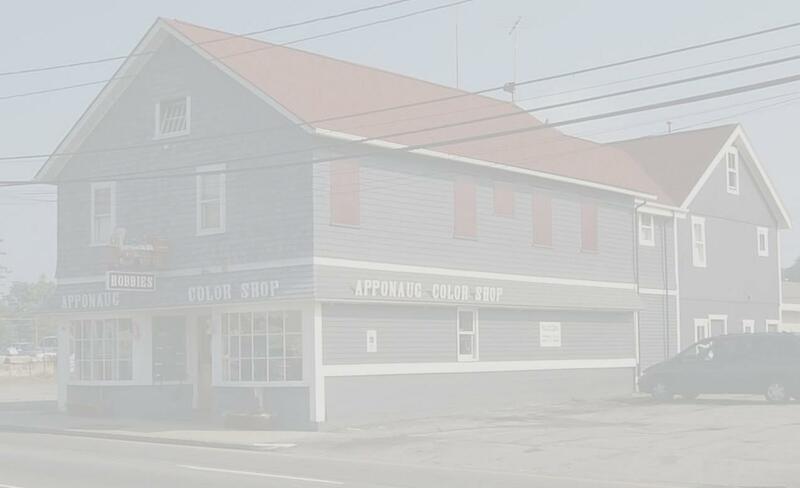 Apponaug Color & Hobby Shop Inc. Hobbies since 1950 - We Help Customers !! Trains..."O" Lionel "H-O" "N" We have complete sets and all extra supplies. Plastic Models...Cars, Aircraft, Boats & Etc. Over 1,500 Plastic models in stock. Wood Models... Boats & Airplanes. Full line of paints & glues. Tools - Balsa-Bass-Plywood, and all kinds of hobby supplies. We buy old trains and make repairs. E Mail for Help ... answered same hour (Hopefully). Directions Come visit our store one mile east of I-95. Large door w/ramp. No clutter. Public Restroom. We welcome browsing, get a coffee next door & stay for a while. Copyright © 2002-2019 Apponaug Color & Hobby Inc.